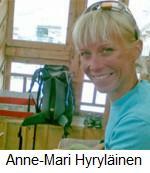 Interview with Anne-Mari Hyryläinen: The First Finnish Woman on Everest? Courtesy of www.alanarnette.com © reproduction prohibited without authorization. Finland is usually associated with Nordic sports like ski jumping and cross country skiing. Now Anne-Mari Hyryläinen wants to make history by being the first Finnish woman to summit Everest. An accomplished marathoner, she saw Mount Everest for the first time while bicycling from Lhasa to Kathmandu. She stopped at the north side base camp and the dream was born. Her training has taken her to Europe and Asia including Mount Blanc (traverse, Goutier 3-summits route) and several 6/7000 meter high peaks in Nepal (incl. Tukuche Peak, Chulu West, Kang Guru). She currently lives in Dubai with her husband so the cold and harsh weather of Everest may be a welcome change from the heat and sand of the desert! While training for marathons she experiences the hardships of the coldest of conditions which is excellent preparation for Everest. Marathon is a very challenging sport requiring high level of performance over an extended period of time. It is the very character and the challenges of this sport that make it so interesting. Good performance requires hard and persistent training and well-planned preparations; Plenty of fluids, right kind of nutrition etc. When the time comes for Everest I’ll be in top shape physically. Hard training and the competition season guarantees strong basic stamina. During February and March I will concentrate fully on Everest. Sure there will be minor competitions to attend to till departure but the Dubai Marathon was the main event for this season. Soon speed training will be replaced by running stairs in order to build endurance. We live on the 32nd floor which will guarantee breaking a sweat whenever coming from or going to home. She will not be alone on Everest with her goal. Her fellow countrywoman, Carina Räihä, is also trying to be the first Finnish woman to summit Everest. Only eight Fins have summited Everest, all were men. And of course the most famous is Veikka Gustafsson who went on to summit all the 14 mountains over 8000 meters without supplemental oxygen. Anne-Marie took a moment from her training to talk about her goal. 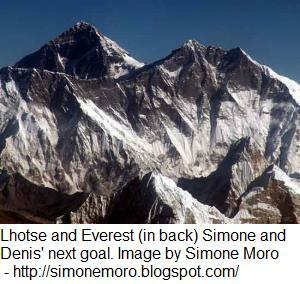 Q: Please tell us why Everest is an important goal for you? Because I would like to be the first Finnish woman to summit Everest. It would be a honor to make some Finnish climbing history. For the very first time when I saw Everest with my own eyes was on a honeymoon bicycling trip from Lhasa to Kathmandu. Along the way we visited Everest Base Camp, North side. Seeing Everest and many other 8000ers gave me a sparkle of motivation to actually one day climb these giants. It was clear that Everest would have to be among the first ones. I also believe that it is easier to get sponsors if you are climbing Everest instead of some order 8000ers peaks. But I was wrong. Q: Have you consulted with your famous country climber, Veikka Gustafsson? Unfortunately not. Veikka is very much my idol and it would be very nice to meet him some day. Maybe some time when I am visiting in Finland I like Veikkas “style” how he is doing things. Q: Your fellow countrywoman, Carina Räihä, is also trying to be the first Finnish woman to summit Everest. Is this a race between you? I don’t see Carina as my competitor. Mountain climbing is no joking matter. I don’t like to think that mountains are a running track or a play field. If I am unsuccessful in some running races there are always some new races coming. If I am unsuccessful in mountain climbing it is possible to risk my life. In the mountain I am focusing only on my climbing. But of course my goal is to be the first. My mind is very competitive and I hate loosing. If we both have same day summit push of course then I try to be first on the top. Q: How was your training climbs in Nepal this past Fall. What were your key lessons from the climbs that you will apply on Everest? I have been climbing in Nepal now three times: Chulu West, Kang Guru and Tukuche Peak. In every expedition I have been learning many new things, especially in Kang Guru Expedition 2008. It is more safer and easier if you are a strong climber. I have learned that for Everest one has to be in top shape physically, mentally strong and also a fast climber. Never lose your focus. It is important to understand your own body and to know how it works under stress. Q: Can you talk about how you mentally train for marathons and how you will use that on Everest? I put myself a certain target and then focus on that. I have a strong discipline and I always tell myself that “ never give up”. Competitions are great mental training also for Everest. When I am running competitions I have to forget all the pains in the body and focus on grossing the finish line. However, I need to respect the marathon distance (42.195 km) and to know my own limits. But I cannot be afraid! It is the same with Everest. I am absolutely passionate about sports and enjoy testing my own physical and mental boundaries and pushing them further and further whenever possible. Q: Any fears about the climb? I do not have any fears about the climb. I love it! But having said that, I have a great respect for the mountains. I really to hope that Chomolangma gives me an opportunity to summit this year! Q: You are filming a documentary about your climb. Can you tell us a bit about it? The Sky Climbers team: Jussi Juutinen (climber, cameraman), Anne-Mari Hyryläinen (climber), Lhakpa Sherpa (climber, cameraman, group sherpa), Jani Einolander (editor in B.C.) 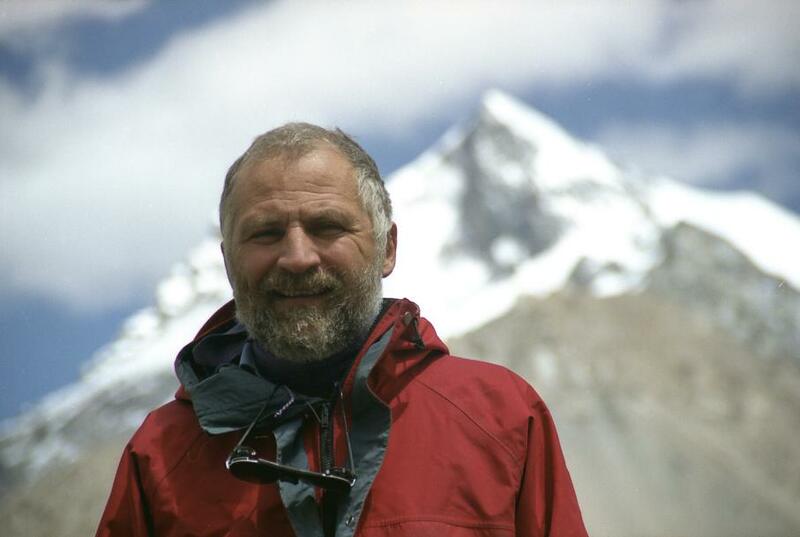 and Tuukka Kouri is the director of the documentary is filming the entire Everest expedition into a documentary film “Sky Climbers – The Journey to Everest”. Q: Any other thoughts for your followers this year? I am hoping in the future that I can climb more mountains and to be able to develop on that. Definitely I am back in running and training after Everest, maybe some ultra run in the future. We wish Ann-Mari, her team and Carina all the best on their expeditions. She will be climbing with Phil Crampton’s Altitude Junkies. You can follow her at her site. – Everest 2010: South Side Update and Safety On The Mountain. – Himalaya Spring 2010 expeditions. 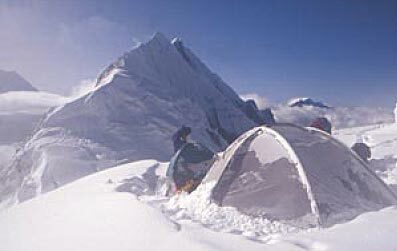 – 2010 climbing season kick-off: Everest and Himalaya list of expeditions! – Feburary and March Climbing Events by American Alpine Institute. – Yet More On The Haines Everest Supersuit. – AAC Book Club: Book Sale and Other February News. – Lei Wang – Asian American woman to beat record in climbing Seven Summits. – More Thoughts on Mallory, Irvine and the Camera. – An Urgent Request from EverestER. – Alan Arnette Explains The Champion Everest Supersuit. 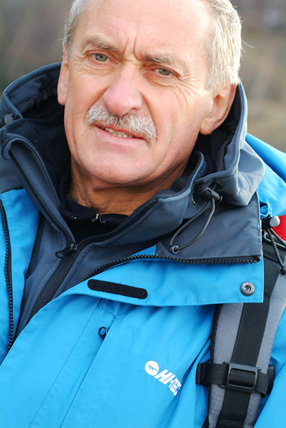 Michał Kochańczyk: alpinista, polarnik, żeglarz i podróżnik. Michał Kochańczyk (ur. 14 maja 1950 roku w Gdańsku, zam. Gdańsk Oliwa), z wykształcenia ekonomista i afrykanista, jest alpinistą, polarnikiem, żeglarzem, kajakarzem, wspinał się od wielu lat w Tatrach, Pamirze, Himalajach, Andach, w górach Afryki, na Spitsbergenie i Alasce. Był kierownikiem i uczestnikiem dwudziestu wypraw w Góry Wysokie. Jego największym osiągnięciem górskim jest udział w przeprowadzeniu nowej drogi na jedną z najtrudniejszych gór na świecie: na szczyt Fitz Roy w Patagonii. Jest prezesem Klubu Wysokogórskiego „Trójmiasto” w Gdańsku, instruktorem alpinizmu Polskiego Związku Alpinizmu. Michał Kochańczyk jest również doświadczonym podróżnikiem, przemierzył większość pustyń na świecie, wędrował przez wilgotne lasy równikowe, spływał Amazonką, odkrywał ruiny preinkaskie w dorzeczu Ucayali, w czasie polarnej zimy przewędrował kilkaset kilometrów na nartach na Spitsbergenie. W czasie swoich licznych podróży kopał złoto w Amazonii, pracował na plantacjach pieprzu i herbaty w Kerali w Indiach . Swoje wyprawy opisywał we wielu czasopismach, w lokalnej telewizji w Gdańsku zrealizował 60 podróżniczych programów telewizyjnych, jego film o wyprawie na Annapurnę był emitowany w pierwszych programie Telewizji Polskiej; podczas wyprawy na Kongur Shan najwyższy szczyt Pamiru Chińskiego w Sinciangu zrealizował film dokumentalny. Prowadzi wykłady fakultatywne o kulturach świata i o turystyce trekkingowej na Wydziale Przedsiębiorczości i Towaroznawstwa Akademii Morskiej w Gdyni i w Wyższej Szkole Bankowej w Gdańsku. Na Akademii Wychowania i Sportu w Gdańsku prowadzi wykłady i ćwiczenia o turystyce kwalifikowanej. Swoje wyprawy opisywał w wielu czasopismach, m.in. w „Rzeczpospolitej”, „Poznaj Świecie”, „n.p.m”, „Dzienniku Bałtyckim”, „Nie z tej Ziemi”, „Taterniku”, „Górach i Alpinizmie”. Dwukrotnie odznaczony medalami za wybitne osiągnięcia sportowe, dwukrotnie medalami za wybitne osiągnięcia andynistyczne. Towarzystwo Opieki nad Zwierzętami wręczyło mu dyplom za uratowanie kota z wysokiej sosny. * Strona domowa alpinisty: Michał Kochańczyk. Everest 2010: South Side Update from IMG’s Eric Simonson. Yesterday we looked at the north side of Everest for 2010, now let’s have a quick look at the south for 2010 through the eyes of IMG’s Eric Simonson. As many know, IMG is one of the largest operators on Everest and the other highest peaks around world. They were featured on the Discovery Channel’s Everest: Beyond the Limit in Season 3, which aired in late December. By my count we are approaching over 20 teams for spring so it will be quite crowded. Safety is always the primary concern of climbers and operators so I wanted to see if there are any plans to address the notorious bottleneck sections like the Yellow Band and the Hillary Step. Also with so many large (and experienced) operators now focusing on the south side, would they begin to work more closely on route fixing similar to what had been done on the north side earlier last decade. Last year, we saw instability in the Icefall that produced not only drama for television but serious angst with the climbers and most importantly and tragically, took the life of Lhakpa Nuru Sherpa. I think it is important to note that the Icefall has always been a dangerous section and avalanches happen almost every year. 2009 just saw some climbers in the wrong spot at the wrong time through no fault of their own. I recently posted an interview with Walter Laserer who was struck by the 2009 avalanche. Q: How is your 2010 Season looking thus far? We are looking good for 2010, the IMG Everest trip is essentially full. I could put one more person on the Hybrid program, but that is about it. We have a couple people doing Lhotse too. Looking forward to another good season! Q: You now offer several types of climbs ranging from base camp services to limited guiding to full guiding. What is your thinking behind these offers? We learned a long time ago that not everyone wants the same thing. Some people want a western guide and some want a Sherpa guide. Our Hybrid program is a little bit of both! We are trying to provide good service at a fair price, meet the needs of our customers, and take good care of our IMG guides and Sherpas. Q: How was your experience with the Tigress/Discovery Channel filming last year? Were you pleased with the final result? We worked great on the mountain with the Tigress camera crew, they did an excellent job. Ed, Jaime, Matt, Mark, Christy all worked their butts off getting the footage. I was impressed with their hard work. After the climb I had absolutely nothing to do with Discovery and the production side, so I was wondering what the show was going to be like. I was pleased with the final product, and the feedback I have received has been positive. 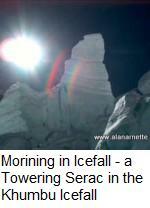 Q: Some teams seem to be avoiding the Icefall. What is IMG’s attitude towards using other areas to acclimatize thus reducing trips through the Icefall? We have been going down to Lobuche Peak for many years as a warm up climb, and that is a good way to get some acclimatization prior to the first trip up the Icefall. However, I still think you need to do a couple rotations up the Icefall and on up to Camp 2 and 3, prior to summit bids. The Sherpas do dozens of trips up and down the Icefall, so I don’t think doing three roundtrips through the Icefall is unreasonable for the members to do. Plus, every time people go up on a rotation they get stronger and faster, it’s a fact. Q: In 2009, bolts were put in the Yellow Band to increase speed and improve safety. Any other plans to accommodate the crowds and remove bottlenecks for 2010? The Yellow Band bolts replaced some nasty old pitons that had been used up there for fixed rope anchors, so that was a big improvement, with both up and down ropes installed. For 2010 I just bought 10,000 meters of fixed rope on behalf of a consortium of outfitters. Russell deserves credit for getting the ball rolling on this and we now have most of the western outfitters on board. The challenge now is to get the Kathmandu operators on board too, but with the support of Ang Jangbu, Dawa Stephen, Tamding, and other key players I think that we’ll hit the tipping point soon on this. Again, this will be a big improvement. We figure that for $100 per western climber we can fix high quality rope, purchase the hardware and oxygen for the fixing team, and pay the sherpas who work so hard up high to get the rope in. We’ll have an up-rope and down-rope in all the bottleneck places for smoother traffic in both directions. It should really help to make the route safer for both the Sherpas and climbers. Q: Any other thoughts on Everest this spring? I think everyone is getting the message that it is in our interest to work together. For 2010 we will be trying to get more teams to haul their poop down from Camp 2. Everest is looking cleaner and cleaner every year, it is definitely improving. Prospective Everest climbers need to be asking their outfitters about how they deal with their waste. Also, how they staff and pay their Sherpas teams. Teams with understaffed (and often underpaid) sherpa teams are the same ones that leave a lot of the trash, because they don’t have the horsepower to clean up their mess. Thanks Eric. As always, we wish you and your Sherpas and climbers a safe and successful season. 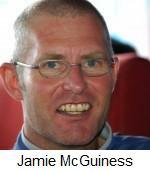 Everest 2010: North Side Update from an Expert – Jamie McGuinness. It is about a month before teams from all around the world pack their duffel bags for the flights to Kathmandu. Thus far the south looks like business as usual with about 16 teams already announced. To put this in perspective, in 2007, when we saw a record number of Everest summits, there were about 17 teams on each side. One question for 2010 is how the north will shape up. It has been a few years since climbing was open from the north. The Chinese closed Everest with their desire to celebrate the 2008 Olympics in Beijing by taking the torch to the summit. This created difficulties in getting permits and access to routes in 2007 when they did a practice climb and again in 2008 when they took a torch to the summit. In 2009, violence in Lhasa resulted in China closing Tibet to foreigners for most of the climbing season. The north side is generally considered the “tougher” side to climb with colder temps and a slightly more technical upper route but 46% of climbers said in my poll that they want to climb Everest from Tibet. Since the permit costs are lower, it is also considered the “bargain” side of Everest. No matter how it is perceived, it is the deadly side of Everest with 32 deaths vs. 16 on the south since 2000, as I reported earlier. 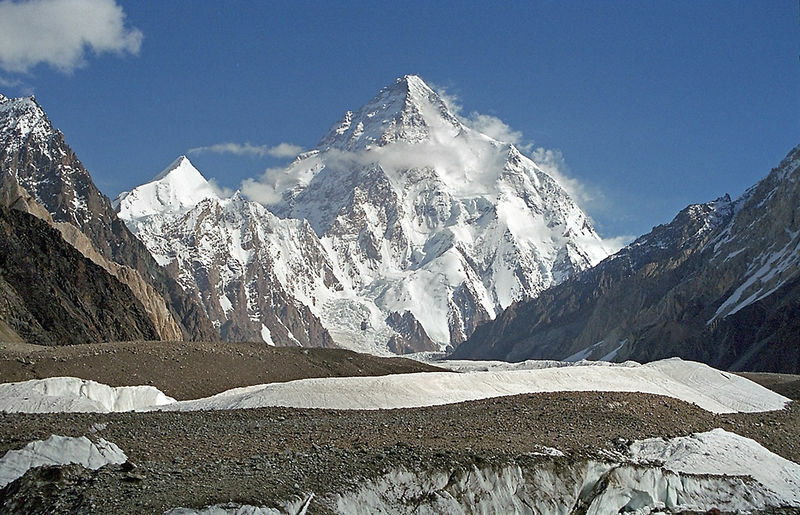 There were at least four planned traverses which, obviously, involved climbs on the north side but to the best of my knowledge all have been delayed due to permitting issues on the Tibet side. With all this as a brief introduction, I reached out to Kathmandu resident and owner of guide service Project Himalaya, Jamie McGuinness. He was not in Nepal but in Mendoza leaving for a climb of Aconcagua. I wanted to get his views on the north for 2010. I am not sure if Jamie is a professional mountaineer, trekker or photographer! I went to Shishapangma with Jamie in 2006. He runs a tight operation with top notch Sherpas and base camp operations. If you have ever met Jamie, you know he is quite willing to share his thoughts on most any matter and has an annoying habit of being well informed! He is one of those people you wouldn’t mind being trapped in a tent with for a week. You might learn something! Q: Tell us a bit about Project Himalaya? Any new cameras for 2010? Project Himalaya is a lifestyle for myself, Kim Bannister and Joel Schone. We run the treks that we want to do and hope that people share our enthusiasm for our mostly exploratory treks. Everest and other big peaks feed the business side, but are still good value and our teams tend to be small, much smaller than comparable companies. Perhaps our marketing is a little low key. Ha, we are both photo geeks… See the last adventure http://project-himalaya.com/photo-galleries/2010-chadar/ – a truly crazy trek on river ice, and nearly as risky as climbing Everest. I am Canon 5D mark ii guy dreaming but am getting a 50mm lens and am ready for the challenge of a fast primer over the ease of using zooms. Q: How is the permit process going thus far for climbing Everest (and Cho Oyu and Shishapangma) from Tibet in 2010? For us everything is on track. It is worth understanding that it is still the period between Chinese New Year and the Lantern Festival though, most civil servants are on holiday. Q: Will there be any traverses this year? Nobody on our team is attempting the traverse but my guess – and it is a guess – is that they will be allowed, at least climbers on the standard traverse. I am not so sure on the double traverses, and other firsts though. Q: You have climbed from both sides, Jamie, what do you think are the major differences? As far as the chance of summit success goes, I think both sides are equal, the differences are many though. chance of random incidences are significantly higher on the south side. The north side has a major advantage in that you can trek, that is walk, up to 6400m and climb up to 7000m very easily, conditions are almost a non-issue. On the south side there are queues that matter through the icefall but other than that it is straightforward to get to ABC/camp to at 6400m. However acclimatizing higher requires the ropes be in place (fixed by teams themselves rather than the icefall doctors) and good snow conditions, it feels a far more significant altitude, involves more challenges to sleep at ~7200m/Camp 3. As far as technical climbing difficulties go, the north side with its tricky second step and ladder is often portrayed as a more technical climbing, but that is focusing on one point only. The First and Second steps definitely require hauling hard on and trusting fixed ropes, and are real bottlenecks, but on the south side you are totally reliant on the fixed ropes for a long section across the Lhotse face and on summit day there are a number of bottlenecks, especially the Hillary Step. It is often portrayed that the summit day on the north side is longer than on the south, which is virtually irrelevant, and in fact they are about the same number of hours. On the North you are starting at the 8300m camp (actually 8210m), so significantly higher than the 7900m South Col, and 2-3 hours faster to the summit. Because of the terrain, descending from the summit on the south side is faster than the North but on the south slower climbers descend to 7900m; on the north it is usual to reach 7650m, an altitude where you can manage more easily without oxygen. Perhaps the major factor though, usually unmentioned, is actually getting to the highest camp. On the south side it is easier to get to South Col in windy conditions, the north side climb to 8300m is more committing. The last major aspect is dropping in altitude to recover and this is so easy on the south side, trekking down to a lodge in Dingboche, 4350m; on the north side we can walk down to around 4900m but going lower requires driving, and the accommodations, meals are not inspiring. Overall, I think the north side is safer from random danger; the south side is more comfortable. Q: You like to summit late in the season when on the north. What is your strategy with this approach? It is simply a matter of safety, an early May window can be extremely cold, with a substantial risk of frostbite as a many climbers have found to their cost. There is much less room for error, moving slowly has greater danger. Additionally, in contrast to the south side where the ice fall becomes even more dangerous in late May, the north side simply gets easier with a higher margin of safety, the route is never truly closed as the ropes do not require nearly as much maintenance. All this must be balanced against the timing of a summit window, which is almost entirely jet stream-dependent, and the possibility of another summit window. Q: Do you think we will see the north side attract more climbers than south one day similar to in 2006 when we saw an equal number of summits from both sides? That depends on China, and whether they reduce the uncertainty surrounding permits and visas; internal stability is more important to them than anything else. In Nepal you know that you will not be stopped in the paperwork stage, even if there are strikes and the place is a complete mess politically. Thanks Jamie. best of luck on Aconcagua and Everest his Spring. 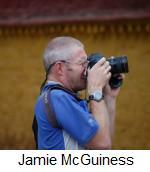 You can follow Jamie and his team on his website where he presents the best pictures during an Everest climb anywhere. Krzysztof Wielicki: na Manaslu byłem dwukrotnie. Poniżej przedstawiam relację znanego polskiego himalaisty Krzysztofa Wielickiego z jego wypraw na Manaslu (1984r i 1992r). Ważniejszą była wyprawa w 1984r ponieważ szczyt został zdobyty nową drogą, pierwszą od strony doliny Pungen. 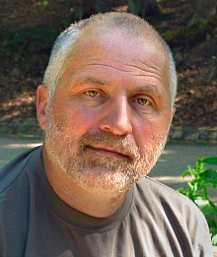 Krzysztof Wielicki (ur. 5 stycznia 1950 w Szklarkce Przygodzickiej) – polski wspinacz, taternik, alpinista i himalaista. Jest piątym człowiekiem na Ziemi, który zdobył Koronę Himalajów i Karakorum. Na trzy z nich: Mount Everest, Kangczendzongę i Lhotse wszedł zimą jako pierwszy. Na Lhotse stanął samotnie w noc sylwestrową w gorsecie, który nosił po uszkodzeniu kręgosłupa w górach. Na Broad Peak “wbiegł” solo w ciągu jednego dnia (pierwsze na świecie wejście na ośmiotysięcznik w ciągu doby). Na Dhaulagiri (w 16 godzin) i Shisha Pangma wspiął się sam, wytyczając nowe drogi. Nikt też nie towarzyszył mu podczas wejścia na szczyt Gasherbruma II. Świadkami samotnego wejścia na Nanga Parbat jedną z największych ścian Ziemi byli jedynie pakistańscy pasterze obserwujący jego wyczyn z oddalonych łąk. Brał udział w czterech wyprawach na K2. Dopiero podczas ostatniej, latem 1996, wytrwałość została nagrodzona – wszedł na szczyt Filarem Północnym z dwoma włoskimi alpinistami. Po biwaku, niedaleko szczytu, zejście zamieniło się w dramatyczną i szczęśliwie zakończoną akcję sprowadzania skrajnie wycieńczonego Włocha. Na przełomie 2006/2007 roku podjął kolejna próbę zdobycia zimą Nanga Parbat, lecz z powodu skrajnie trudnych warunków pogodowych, musiał wycofać się wraz ze swoim zespołem . 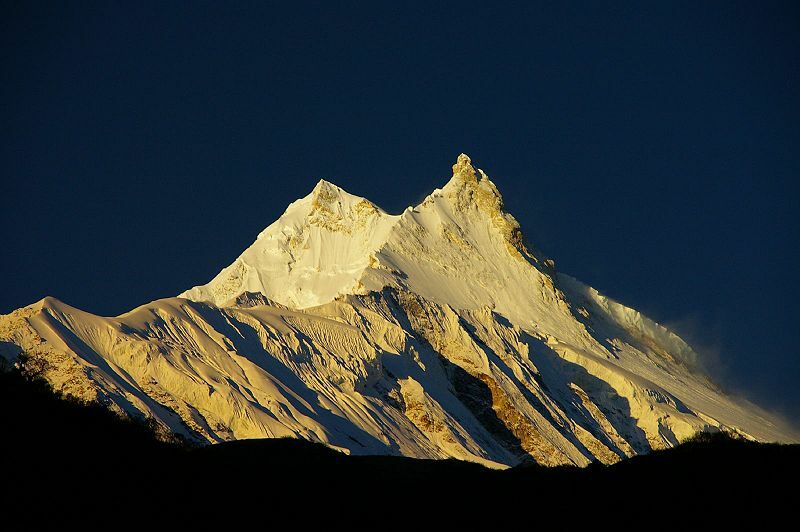 Manaslu (8156 m) – to siódmy pod względem wysokości szczyt Ziemi. Położony jest w Nepalu. Jest najwyższym szczytem grupy Gurkha Himal, w której znajdują się również Himalchuli (7893 m) i Peak 29 (7835 m). Peak 29 i Manaslu łączy Grań południowa, a wybitne jej obniżenie to przełęcz Pungen. Grań ta rozdziela lodowiec Pungen (położony po jej wschodniej stronie) od lodowca Thulagi (leżącego na zachód od niej). Górne piętro lodowca Thulagi to 6. kilometrowej długości kotlina Butterflies Valley – Dolina Motyli. Nieco na północny wschód od głównego szczytu Manaslu wznosi się wierzchołek 7895 m, z którego ku wschodowi biegnie grań rozdzielająca lodowce Pungen i Manaslu, a ku północy ciągnie się grań do Manaslu North (7300 m) i dalej w kierunku Larkya Peak. W kierunku północno-zachodnim od głównego szczytu biegnie grzęda dzieląca lodowiec Domen na część wschodnią i zachodnią. W środkowej jej części, na wysokości ok. 7000 m, grzęda opada wybitnym uskokiem skalnym w kształcie rozłożonego parasola, dla którego przyjęła się japońska nazwa Kasa-Iwa. Nazwa Manaslu wywodzi się od słowa „manasa”, które w sanskrycie oznacza duszę. W wierzeniach tubylców góra ta jest miejscem świętym; do dziś alpiniści wchodzący na szczyt zatrzymują się w niewielkiej odległości od wierzchołka, by nie zakłócać spokoju zamieszkujących ją bóstw. Z tego samego powodu przez długie lata miejscowe władze nie udzielały pozwoleń na działalności alpinistyczną na tym szczycie. Pierwsi alpiniści pojawili się w rejonie Manaslu w roku 1950, początkowo z wyprawami rekonesansowymi (kierowanymi przez Toni Hagena, potem Harolda Tilmana, wreszcie wyprawy japońskie). Sukces odnieśli dopiero Japończyk Toshio Imanishi i Szerpa Gyalzen Norbu, który pierwszy człowiek wszedł na dwa ośmiotysięczniki (wcześniej był na Makalu). Wierzchołek osiągnęli 9 maja 1956 roku, a dwa dni później weszli nań jaszcze dwaj inni Japończycy – Minoru Higeta i Kiichiro Kato. Na następne wejście góra czekała, jak zresztą większość himalajskich szczytów, do początku lat 70. 17 maja 1971 roku na szczyt weszli Kazoharu Kohara i Motoyoshi Tanaka. Ich wyprawa, kierowana przez Akira Takahashi wytyczyła drogę o charakterze sportowym, z wschodniego lodowca Domen poprzez wspomniany uskok Kasa-Iwa. Ten japoński monopol na Manaslu przerwał w rok później Reinhold Messner, który wszedł na szczyt 25 kwietnia 1972 roku nową drogą przez Dolinę Motyli i południowo-zachodną flanką. Ważnym osiągnięciem było francuskie przejści zachodniej ściany z lodowca Domen: 7 października 1981 roku na szczycie stanęli Pierre Beghin i Bernard Muller. Piękną i trudną drogę północno-wschodną glanką poprowadzili na Manaslu Jerzy Kukuczka i Artur Hajzer, stając na szczycie 10 listopada 1986 roku. Po kilku nieudanych próbach przejścia z Wojciechem Kurtyką i Carlosem Carsolio grani wschodniej, weszli oni nowym wariantem od dołu z lodowca Makalu na wschodnią grań, i nią dalej na wschodni wierzchołek Manaslu. Do tego miejsca wspomagał ich również Carsolio, który ze względu na odmrożenia musiał zrezygnować z wejścia na główny wierzchołek. Na Manaslu byłem dwukrotnie. Wejście w 1992 roku nie miało charakteru sportowego – była to wyprawa komercyjna, wchodziliśmy drogą normalną od północy. Na szczyt wszedłem wraz z Włochami Marco Bianchim i Christianem Kuntnerem. Jednakże o wiele ciekawszy i bogatszy w przeżycia był mój pierwszy pobyt pod Manaslu. Wierzchołek osiągnąłem z Aleksandrem Lwowem 20 października 1984 roku – nową drogą, pierwszą od strony doliny Pungen. Początkowo mieliśmy kłopoty podczas karawany, kiedy jedna trzecia śpiworów i kurtek puchowych naszej wyprawy, (kierowanej przez Janusz Kulisia), została rozkradziona lub utonęła w rzece Buri Gandaki. Naszym celem była nie zdobyta dotąd południowo-wschodnia ściana, zwrócona ku lodowcowi Pungen. Po pierwszym rekonesansie uznaliśmy jej trudności i niebezpieczeństwa za zbyt wielkie. Wobec tego postanowiliśmy wchodzić na szczyt śladem próby wyprawy wrocławskiej z 1980 roku. Wspięliśmy się wielkim kuluarem wyprowadzającym od wschodu na południową grań Manaslu, na prawo od przełęczy Pungen. Niezapomniany był obóz u stóp kuluaru, odgrodzony od spadających nim lawin ogromną szczeliną lodowca. Wyszliśmy nocą, wspinając się przy świetle księżyca. Za dnia trzeba było bowiem co chwilę umykać przed sunącymi przez lodowe rynny kuluary „śnieżnymi pociągami” lawin. Potem szliśmy wzdłuż południowej grani, po jej prawej stronie, osłonięci od północno-zachodniego wiatru. Dopiero w pobliżu wierzchołka uderzył on w nas z impetem huraganu. Szczęście, że wspinaliśmy się właśnie po tej stronie, w przeciwnym razie walki z wiatrem chyba byśmy nie wygrali. Tuż po godzinie 12 staliśmy parę metrów od wierzchołka. Zdołaliśmy tam wytrać na tyle długo, aby zrobić kilka zdjęć. Potem szybko uciekaliśmy w dół przed nieustającą wichurą, wraz z którą nadchodziła himalajska zima. – Krzysztof Wielicki: Broad Peak – Łamanie barier czasu. – Krzysztof Wielicki: Historia zdobycia K-2. – Krzysztof Wielicki: zimowa wyprawa na Lhotse – pierwsze zdobycie szczytu zimą 1988r. The Great Himalaya Trail Set To Open Next Year! The Great Himalaya Trail is the subject of my post over at travel blog Gadling.com this morning as well, but wanted to share the details here too. The GHT is a new long distance trekking route that will officially open next February, and will run the entire length of the Himalaya mountain range, connecting up a number of smaller individual trails, to form one giant epic adventure that will challenge even the most experienced trekkers. All told, the Great Himalaya Trail will run roughly 2800 miles in length, crossing through five countries in the process. Thru-hikers can expect the entire route to require approximately 150 days to complete, as they march through Tibet, Bhutan, Nepal, India, and Pakistan. And if you don’t have 5 months to dedicate to walking the longest high altitude trail in the world, fear not. The GHT will be broken down into seven smaller segments, each taking between 18-35 day to finish, allowing travelers on a time constraint to still have a chance to experience its wonders. The inaugural trek of the GHT is set to get underway on Feb. 15th, 2011. Adventure travel company World Expeditions is organizing the trip, and you can book the entire 150-day journey, or any one of the seven smaller routes with them now. Due to the logistics of the trail, the permits required, and the visas necessary to hike it, it is not recommended for independent trekkers at this time. As of this writing, the Nepali section of the GHT is the only one that is complete, but the other countries are all scrambling to finish up their routes as well. When it is finished, the route will extend from Namche Barwa in Tibet all the way to Nanga Parbat in Pakistan, crossing through some of the most remote and beautiful places on the planet along the way. Seems like adventure travelers and backpackers just gained another addition to their “Bucket Lists”. Himalaya 2010 climbing season, Karakoram and Himalaya wrap-up /5/ – Week in Review. Luge down Everest Hornbein anyone? A new route attempt by the dynamic duo Moro/Urubko, a bunch of interviews with emerging adventurers (and their parents), amazing trip reports and a couple of editorials stole at least some attention this blockbuster winter Olympics week. 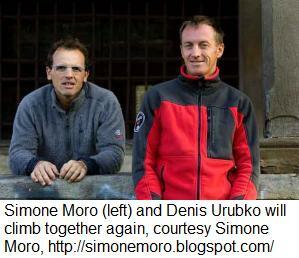 Simone Moro for Everest w/o O2 – plus a new route on Lhotse with Denis Urubko! Makalu first winter ascent Kazakh-Italian combo Denis Urubko and Simone Moro, maybe the strongest Himalayan climbing team today, are roping up again for an impressive double-header: A new route in alpine style on Lhotse, plus a no-O2 Everest climb. Lhotse 2010 preview: Himalaya training – Kazakh style Evan Lysacek was the best trained figure skater; speed skater Apolo Ohno put in four 2-hour sessions each day. It brought them Olympic glory. Fast, strong, and determined, Kazakh climbers are outstanding on high altitude. Currently, the men are doing three daily ascents in preps for the upcoming Lhotse attempt. Check the workout tips from Vassiliy Pivtsov and Kazakhstan Army’s Sports Club team coach Iljinsky. Puryear and Gottlieb get a Mugs Stump award while climbing a virgin peak in Nepal Joe Puryear and David Gottlieb were not at home to receive their just announced Mugs Stumps Award. The serial first ascenders are in Nepal to explore some ice climbing spots in Rolwaling valley and bag yet another virgin peak: the 6,771-meter Takargo. Check who else got the award this year. Editorial: International Mugs Stump for 8000ers, anyone? Russian Yevgeny Plushenko complains that figure skaters are skipping the quad due to the high risk. The latest NASA budget proposal has cut our hopes for real space. International mountaineers complain that high altitude is increasingly avoided. Are we regressing? A new award could change that. Opinion: Lhotse, K2 and Puccini “Although misplaced in Baltistan, K2 is as Italian as Vesuvius – pit an Italian mountain with two or three Italian climbers, and the spectacle becomes as lush and operatic as Puccini.” K2’s 2008 tragedy still echoes among Italian tenors such as Messner, Moro and Marco Confortola. A journalist wrote for ExWeb how it all relates to Lhotse this spring. ExWeb interview with Tessum Weber, “The Arctic Ocean is like a military routine with meticulous preparation” His iPod is his most important gear item, “to keep it chill” on the way to the North Pole. 21-year old Tessum Weber and his iPod will be skiing with his father, Richard, and two teammates the 775 km from Canada to the NP. Tessum told ExWeb about growing up in a house where going to the North Pole was normal. ExWeb interview with Richard Weber, “It is very cool to take my son to the North Pole” Veteran North Pole skier and South Pole speed skier, Richard Weber, is on his way to the North Pole for the 7th time; with his eldest son and two teammates. He talked to ExWeb about his new line of polar equipment, sharing his passion with his son and what he has learned about Arctic adventures over the years. Katie Spotz update: Rowing the Atlantic Ocean from a mother’s point of view When 22-year old independent, single-handed, Atlantic Ocean rower, Katie Spotz’s, mother got an email that her daughter wanted to row an ocean on her own, a battle began: She wanted to keep her daughter close and safe, and her daughter wanted to live her dream. Mary Spotz explains how she had to let go. ExWeb interview with Sarah Outen, a new challenge: Rowing, biking and kayaking around the world In 2009 Briton Sarah Outen became the first woman to row across the Indian Ocean from Australia to Mauritius single-handed, unsupported and at only 24 years old, the youngest. ExWeb spoke to the young champ about her new challenge, ‘London to London: Via the World’ on a bicycle and a boat. Heads-up: Kayaking the Rhine River: Ex-Royal Marines Phil Carrington, Robert Tweddle and Sean Johnson Ex-Royal Marines Phil Carrington, Robert Tweddle and Sean Johnson will take on the Rhine River in kayaks from the source in the Swiss Alps, through six countries to the London Eye, a distance of 1000 miles. They will be self-contained and will camp along the way. ExWeb interview with Pavel Blazek, “It’s mostly about what I like to do, what drives me” Two Czechs, Vasek Sura and Pavel Blazek, are leaving for Siberia on February 21 and if all goes well they will start their unassisted, unsupported expedition across Lake Baikal two days later. Pavel told ExWeb all about it. Hundred years on ice A New Zealand Antarctic Heritage Trust team of conservators has excavated five crates from beneath Ernest Shackleton’s hut, used during his 1909 unfinished expedition to the South Pole, at Cape Royds on Antarctica. Three crates were labeled as containing whisky and two labeled as containing brandy. Atlantic rowing update: “If the elements want to play silly, accept it and get on with it” Out of class boat, Britannia lll finished in Barbados after nearly 39 days at sea. The rest of the Atlantic Race rowers have been out on the Ocean for 45 days. Wednesday saw another 1200 nm made good, 40nm per crew, including a further 79nm for Charlie Pitcher the solo rower leading the Race.